When you’re in Asia, do know that the best foods aren’t found in fancy restaurants. If you want authentic dining experience that your palate will genuinely enjoy, head outdoors and look for carts and stalls along the streets and alleys. 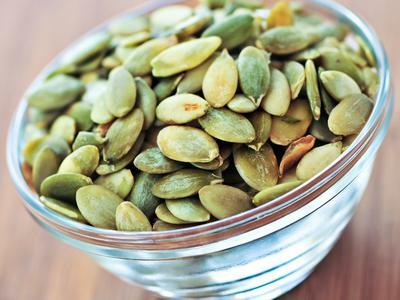 Look for these notorious snacks that are not only iconic favorites in their country, but also boasts a unique range of texture and flavor that you may not find in any other places across the world. 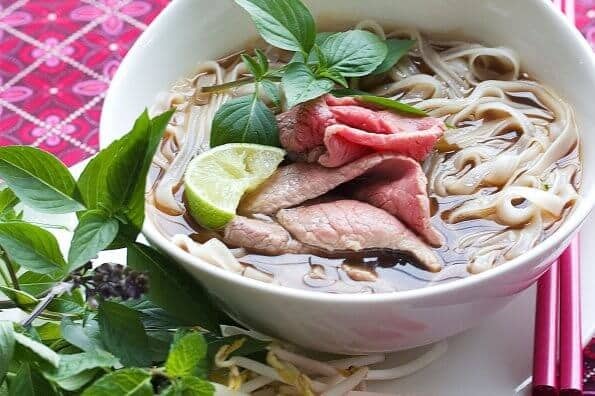 Pronounced as ‘fuh,’ pho is a rice noodle soup from Vietnam that even Westerns love. This richly flavored soup is made of simple ingredients: rice noodles, meat (beef or chicken) and garnishes (Thai basil, chilis, lime and green onion). But what makes all the flavor marry together beautifully is the broth, which is made by simmering tendons and bones with charred ginger, onion, seasonings and spices, ideally for longer hours to get all the flavors from the ingredients out. If you must try only one dish in Singapore, make it curry laksa. This sought-after dish is a creamy sauce with vermicelli noodles with fried bean curd, slices of shrimp, fish and cockles. It also comes in tamarind variant, which gives the dish a tangy kick of flavor. But whatever variant you choose to try, it all comes with pineapple, Vietnamese mint, cucumber, chili and bunga kantan (torch ginger) for taste. Coming from the two words ‘gim’ (which means dried seaweed) and ‘bap’ (which means steamed white rice), this dish looks like a variant of Korean sushi but contains eggs, fish and veggies. 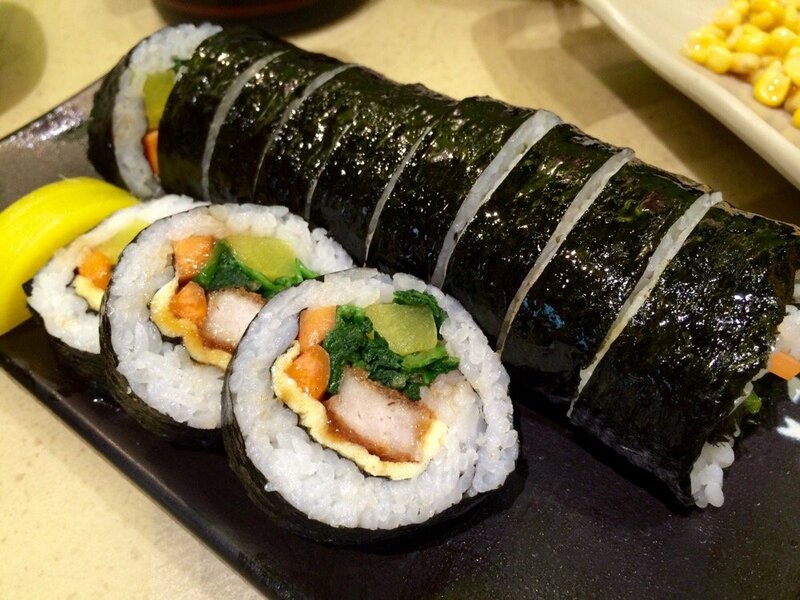 Gimbap is a crowd favorite in Japan as the rice carries a distinctive flavor, which comes from the sesame oil and salt seasoned into it before it is rolled into gimbap. Patterned from Japan’s famous tempura, kwek-kwek is a battered ingredient that is deep fried. In this case, quail egg is used instead of shrimp, and the batter is purposely colored into bright orange, making kwek-kwek easily visible in the line up of food stalls along the streets. If you despise the balut (a boiled duck embryo), kwek-kwek is a great alternative to try. 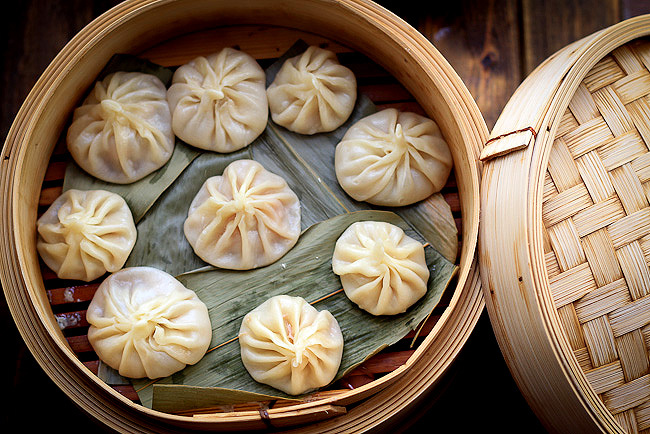 A staple in Chinese cuisine, xiaolongbao is a steamed bun that contains a burst of richly flavored filling. Often served in steaming baskets, this is China’s traditional street side snack. Typically, these buns are filled with aspic, a savory jelly made of meat stock. As a result, biting into these tiny buns creates an explosion of tasty, salty punch into your palate. Sure, there’s a whole lot more of street foods to try when touring Asia. But these five are the ones we truly believe no foodie should miss.